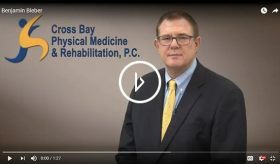 Cross Bay Physical Medicine and Rehabilitation has partnered with Toys for Tots, a national charitable organization that collects toys to give to needy children. They will serve as an official Toys For Tots collection center. Residents of Howard Beach, NY and surrounding areas are invited to donate toys any time between November 14th and December the 12th.